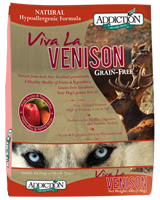 Featuring Free-Range New Zealand Venison, Addiction's Viva La Venison is a mouth-watering treat that will satisfy any dog! Served with a generous dose of Fruits and Vegetables, we have included Probiotics for overall health and vitality. 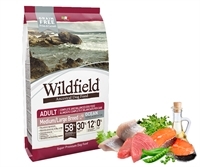 Formulated without grains, this wholesome meal is also ideal for sensitive dogs of all lifestages.